Accentuate your look with this stylish American Indigo Jacket and Boots, a perfect combo to raise your style quotient. 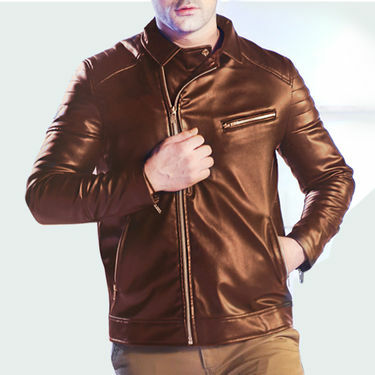 Made from leather, the jacket is durable, lightweight, and is comfortable to wear all day long. The long sleeves, button closure and pocket on the jacket gives it a trendy look every time you step out. 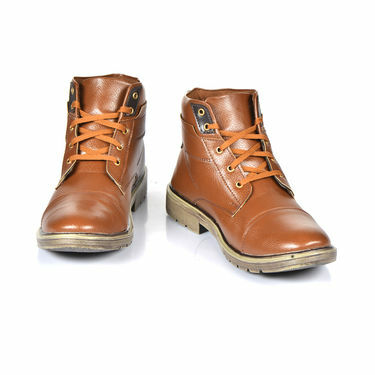 Moreover, Casual Boots in the combo make you look smart and enhance your overall personality on the go. Made from high quality material, these pair of shoes are padded and cushioned for extra comfort and longevity. A fusion of comfort and style, American Indigo Jacket + Boots will bring forth a appealing look when worn with the casual wear of your choice. Seller: Y S Marchandise International Pvt. 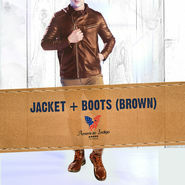 Ltd.
American Indigo Jacket + Boots - ..VSBuy 1 Get 1 American Indigo Fleec.. American Indigo Jacket + Boots - .. VS Buy 1 Get 1 American Indigo Fleec..
American Indigo Jacket + Boots - ..VSAmerican Indigo Reversible Jacket.. American Indigo Jacket + Boots - .. VS American Indigo Reversible Jacket..
American Indigo Jacket + Boots - ..VSAmerican Indigo Jacket + Boots - .. American Indigo Jacket + Boots - .. VS American Indigo Jacket + Boots - ..